A customer contacted us looking to have some plantation shutters created and installed for their child’s nursery and their own bedroom. 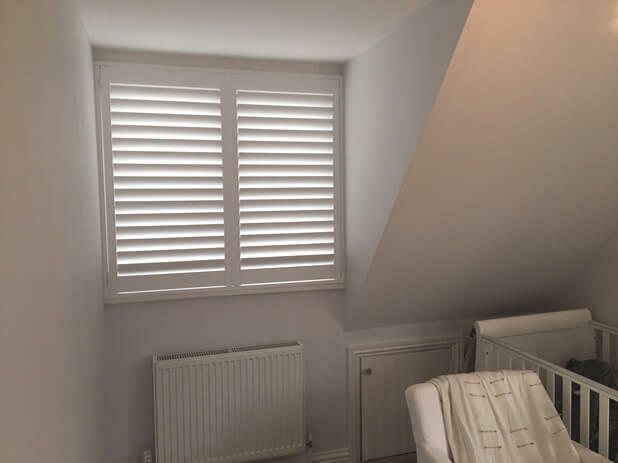 The shutters in the nursery had to be measured and designed perfectly to fit in the enclosed window space allowing the shutter panels to still open perfectly in the tight space. 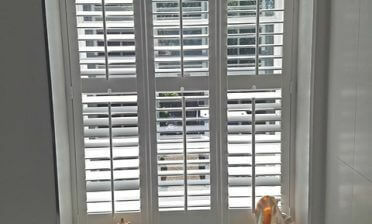 The shutters for the bedroom were created from floor height and have a mid rail included to not only strengthen the tall shutter panels, but allow for more adjustment at the bottom and top level. Great for lower level privacy while still allowing loads of light into the room. 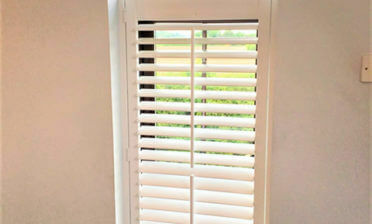 All the shutters were created from our Fiji hardwood range and finished in a pure white paint throughout. 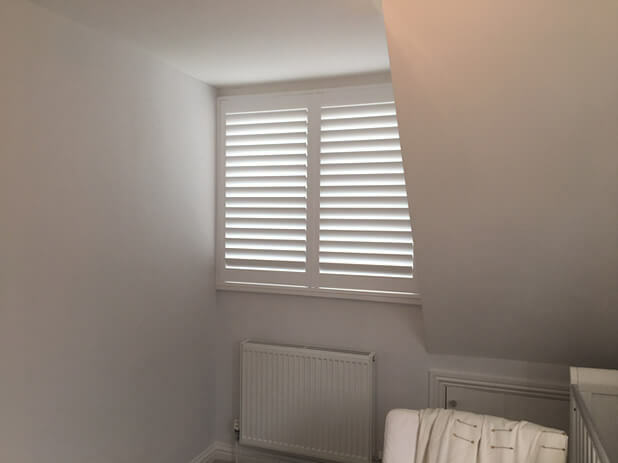 We used a hidden tilt rod system to create a more modern feel to all the shutters, while still allowing for adjustment of the louvres through touch. The clients aim was to gain more privacy, especially in the nursery, while sticking to a nice neutral colour scheme to match both the rooms. 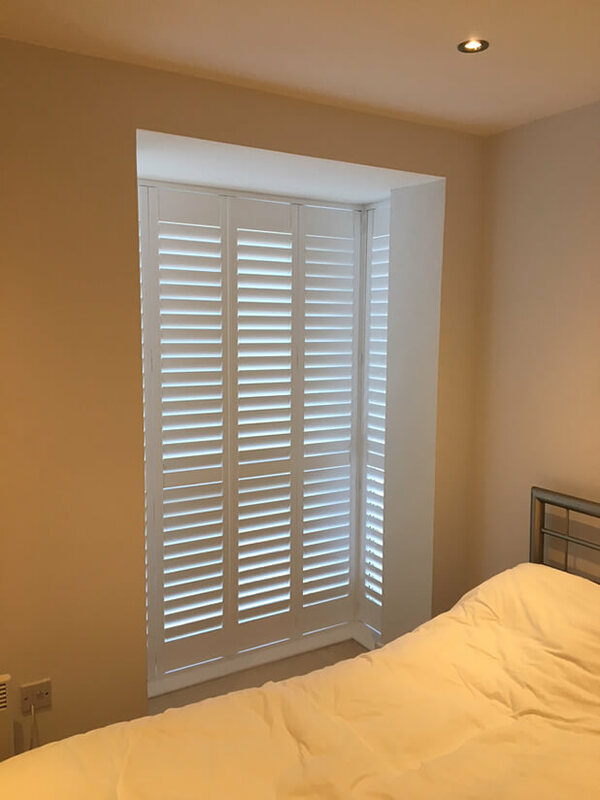 Tom carried out this installation, leaving a very happy customer to enjoy their new plantation shutters for years to come, suitable even for when the child grows older and the nursery room is changed!